We try to make the payment process as simple and convenient as possible. We offer clients a variety of payment plans, which include cash, debit and credit card payments and insurance. Our goal is to ensure everyone can access to our chiropractic treatments. We strive to keep the prices as affordable as possible. The privacy of our clients is extremely important to us. We do not, under any circumstances, sell or share any client’s personal information, which includes their financial information, with an external or third party. If you would like to know more about Shelby County Chiropractic’s payment plans, feel free to contact us. We’re here to answer all your queries. Shelby County Chiropractic specializes in providing effective, affordable and safe chiropractic therapies for an array of health conditions. 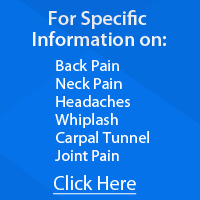 These may include headache, neck pain, hip pain, back pain, and more. We’re open for service from Monday to Friday. Call 502-633-1073 to schedule your consultation today. Dr. Stapleton’s plan of attack to relieve my pain was spot on! I went from barely being able to walk to very little pain and discomfort in no time at all. The staff up here is very friendly and truly care about your well-being. I have been a patient of Dr. Stapleton for several years. Service is great, office staff is knowledgeable and very friendly. I would recommend Shelby County Chiropractic to anyone who wants to feel better and live a pain free life. I began coming to the chiropractor after an automobile accident. I started getting adjustments and massages and now my neck and shoulders feel the best they’ve felt in a very long time. Thank You! I never mind coming to my chiropractic appointments, not only because I feel better when I leave. But because the entire staff including the Doctors are genuine, welcoming and knowledgeable. Tammy, Lisa, Sandra and Ashley are all top notch. I feel blessed to be receiving such good care. My husband and I used to see a chiropractor on a regular basis a few years ago, but fell out of going regularly. Deciding to come back to chiropractic care has here at Shelby County Chiropractic has been so beneficial to our health. We make it a priority to keep coming back for regular care and are so happy and healthy. I recommend it to all of my friends. For years I have had back problems and seen many doctors. I found Shelby County Chiropractic and it’s been the best experience I have had ever. Love the doctors and staff. They care about the well-being of your health, and they grow on you as family.